Gone are the days when lifting weights were only restricted to men. 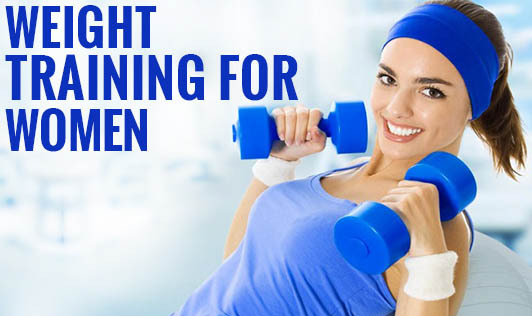 Now weight lifting is considered an important part of overall health and fitness. It is regarded as essential for sculpting and toning the feminine body and for improving bone health. Why is weight training essential? Metabolism: Weight training has a profound effect on fat loss and muscle growth. It speeds up body's metabolism, thereby aiding in weight loss. Bone Health: It helps improve bone density by increasing the absorption of minerals and nutrients. It also helps you become emotionally strong and confident. Knowing you can defend yourself well, performing strenuous chores gives a newfound sense of independence. According to Neghar Fonooni, a popular strength-training coach- ‘Realising your outer strength and tapping your inner strength makes you radiate with confidence'. Why you won’t get bulky by weight training? Testosterone is the most essential hormone necessary to get bulky which women don’t possess enough of. To achieve a massive, manly physique, one must be supplementing with hormones which can have long-term side effects. The right kind of training module helps with balanced muscle development. The key is to utilize as many compound, combination, and full-body movements as possible, so that we're increasing lean mass and decreasing fat simultaneously, rather than isolating muscle groups to increase their size.